It’s easy to get trapped in the so-called “Macalester bubble.” We’ve all been there. Why leave campus when anything and everything a college student could need is a half mile away? It is difficult to muster up the courage to get out, especially when a city adventure can mean riding public transportation for the better part of an hour. 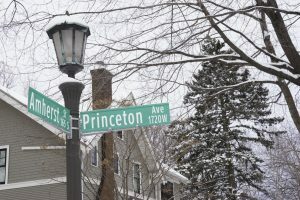 Fortunately enough, a trip to a trendy cafe or hidden gem study spot is easier because of Macalester’s proximity to other college campuses. When Dunn Brothers Coffee and Caribou Coffee feel too repetitive, a simple ride on the A Line or the 63 bus can bring us to everything our neighboring campuses have to offer. In our search of new coffee shops, we found Coffee Bené near St. Thomas University and Gingko Coffeehouse near Hamline University. 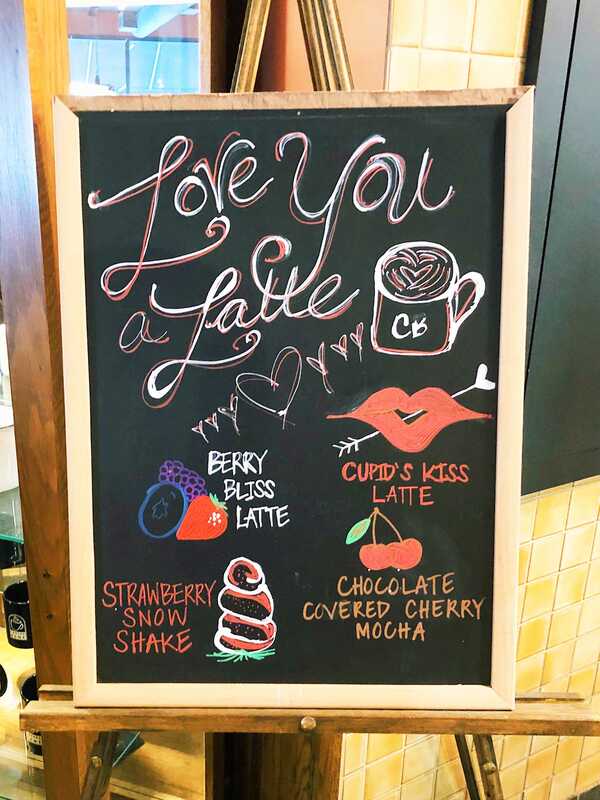 Coffee Bené’s specialty board features the Valentine’s Day drinks and a love-themed play on words. Coffee Bené is very similar to Caribou and Dunn Brothers. 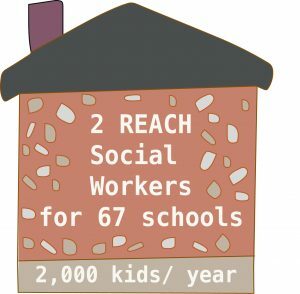 It’s not far from Macalester, about an eight-minute bus ride on the 63 or a 20-minute walk. The atmosphere in the shop is classic and casual and the walls feature photos of the St. Thomas, St. Kate’s and Macalester campuses over the years. One thing we enjoyed about Coffee Bené is that they offer special holiday or seasonal drinks throughout the year. According to their website, they feature a Butterbeer latte in the fall. We visited Coffee Bené around Valentine’s Day and tried their specialty, Chocolate-Covered Cherry Mocha, which had a rich cherry flavor. Anyone with a sweet tooth would enjoy this fruity and flirty seasonal drink. The prices at this shop are comparable to Caribou or Starbucks, so, if one wants to stroll down Grand Avenue for a study break or just to explore, we recommend a visit to Coffee Bené. 3/5 stars. 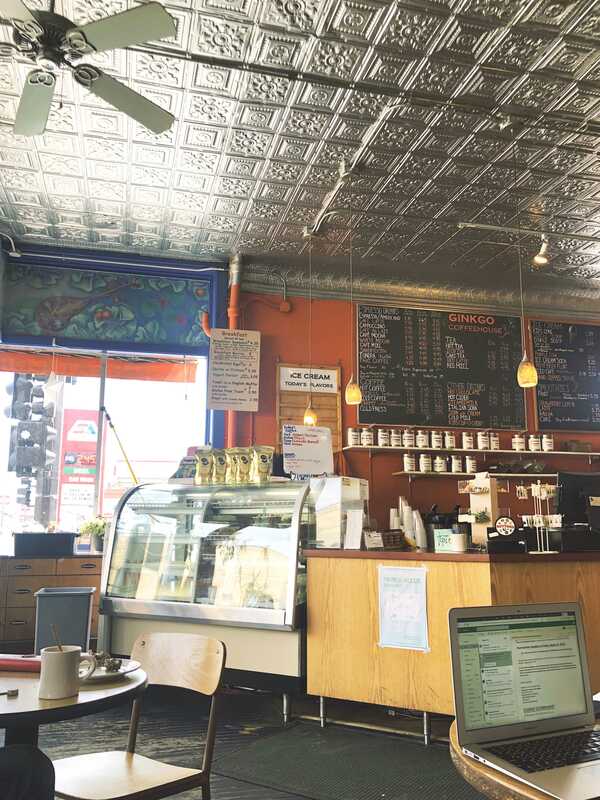 The interior of Ginkgo Coffeehouse features murals and a silver ceiling. Photos by Malyn Banitt-Moore ’22. Just three stops north on the A Line from Macalester is Gingko Coffeehouse, a café on the corner of Snelling Ave. and Minnehaha Ave., just across the street from Hamline University. We visited Gingko on one of the first beautiful days of the year after weeks of cold and gray, and the atmosphere of the cafe perfectly reflected the weather outside. With a wall of big windows and local art decor, Gingko’s interior offers a bright and colorful environment that is perfect for a casual study session or catching up with friends. Gingko is a haven for college students with a variety of seating, competitively priced drinks (about $4.50 for a 16 ounce espresso drink) and a welcoming atmosphere. 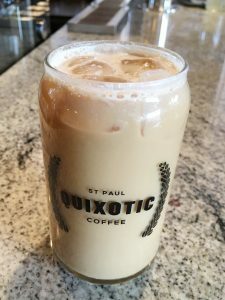 The drinks Gingko offers are pretty standard — the typical espresso and tea beverages found at any coffeehouse — but they also sell an array of smoothies and ice cream flavors. The coffee that we tried, a latte and a mocha, were tasty, but nothing out of the ordinary. The features that made Gingko really stand out to us were the gorgeous murals that covered both the interior and exterior of the shop. The murals were beautiful, unique and the perfect backdrop for an Instagram photo-op. Overall, we recommend Gingko for anyone looking to switch up their everyday coffee routine for a change in scenery. 4/5 stars. Coffee Bené is located at 53 Cleveland Ave S, St. Paul, MN. Gingko Coffeehouse is located at 721 Snelling Ave N, St. Paul, MN.